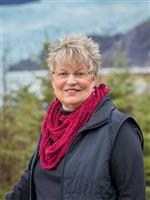 If you are looking for real estate in Douglas, Alaska, I can show you what is available. I will work to locate homes in the shortest amount of time possible. Instead of struggling to look through all of the Douglas real estate, let me be the one to handle the search for you. As a residential community, Douglas has an elementary school, gas station, convenience store, restaurants, bars, a beautiful boat harbor, skating rink, ball parks and picnic shelters at Sandy Beach. With less than 3,000 people living here, there are a number of different things that you can do around the area. It is thought that an early settler was the one who named the area what it is known as today. Since the area has picturesque views and amazing scenery, you will be able to sit back and take in the incredible area that surrounds you. Watch ball games and more at Savikko Park. Launch or dock your boat at the Douglas Boat Harbor. Enjoy the events and parade for the 4th of July celebration. Concerts and other events take place around the area, and make sure you check out the Perseverance Theatre to see what stage shows they have to offer. Let me show you the homes for sale in Douglas and you will get an idea what all the area has to offer you. Before you know it, you will be able to sit back, relax and enjoy your new home.